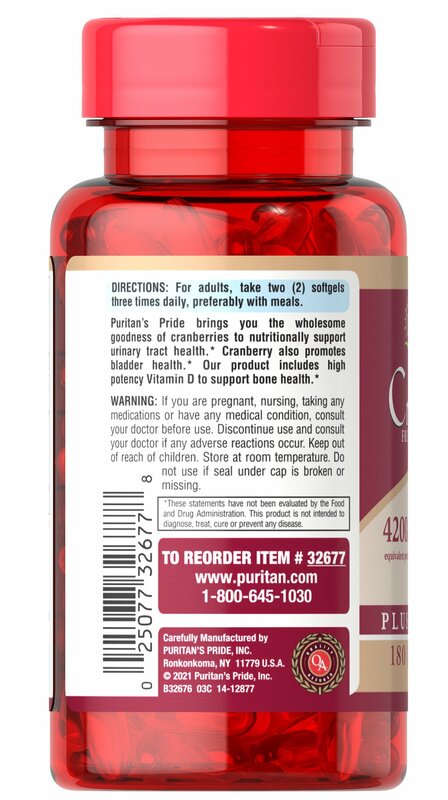 Our Cranberry Fruit Concentrate Plus Vitamin D3 has the wholesome goodness of cranberries to nutritionally support urinary tract health as well as promote bladder health. 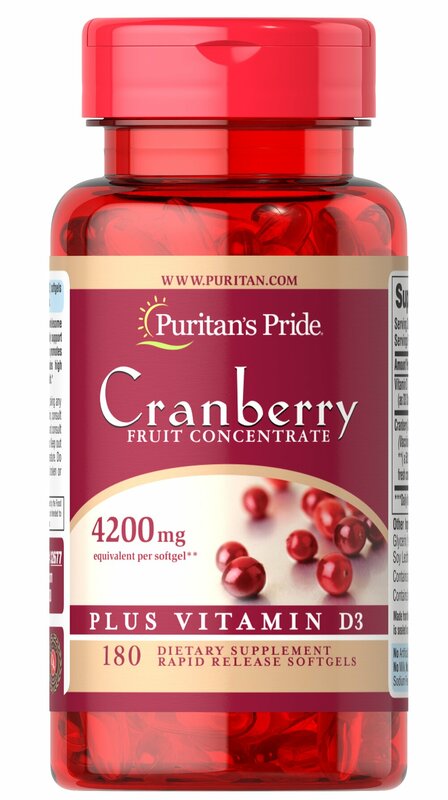 ** Each serving contains a 50:1 concentrate, the equivalent of 8,400 mg of fresh cranberries. 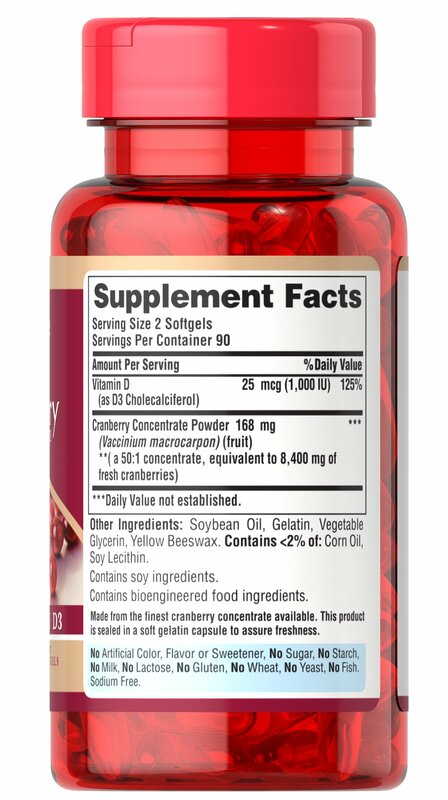 Also includes 1000 IUs of high potency Vitamin D3 per serving to support bone and breast health. ** Includes 180 rapid release softgels.